The Defence Minister, The Rt Hon Tobias Ellwood MP, has pledged to look again at the military aerodromes being disposed as part of the Ministry of Defence estate modernisation programme. In a productive meeting with the All-Party Parliamentary Group on General Aviation, the Minister and officials from the Defence Infrastructure Organisation (the body responsible for the country’s defence infrastructure) acknowledged that retaining at least some of these aerodromes for aviation use could be beneficial, not only to local economies, but also to the potential future defence needs of the United Kingdom. There are 15 sites across the country that are currently in the process of being released from the Ministry of Defence, and a number of these have already been earmarked for development by Local Planning Authorities. However the all-party group is urging Departments across Whitehall, as well as local councils, to pursue a mixed-use approach to developments on aerodrome sites in order to meet the Government’s stated objective of making the UK the best country in the world for General Aviation. Speaking following the meeting, Chair of the all-party group The Rt Hon Grant Shapps MP said: “It was productive to sit down with the Defence Minister responsible for the Ministry of Defence estate, including our culturally and economically important military aerodromes. The Minister clearly understood the issues facing the £60.6bn wider aviation sector and, unbeknown to the APPG in advance of the meeting, happens to understand General Aviation too, as a current FAA license holder. 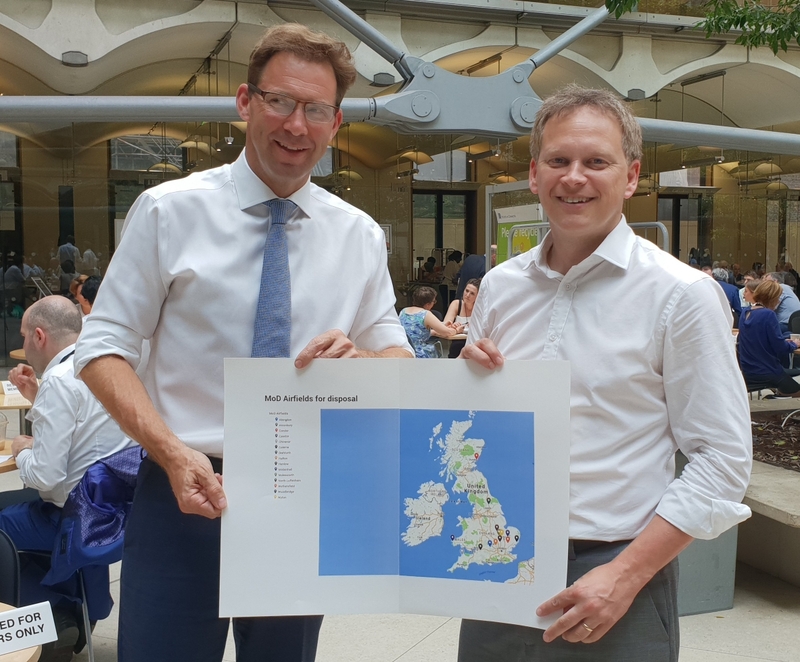 The All-Party Parliamentary Group on General Aviation has 153 parliamentary members from across both Houses of Parliament, and all the major political parties. The full membership can be found at www.GeneralAviationAPPG.uk/parliamentary-members. Our original letter to the Secretary of State for Defence can be read here: www.GeneralAviationAPPG.uk/parliamentary-group-urges-defence-secretary-to-keep-military-aerodromes-available/.